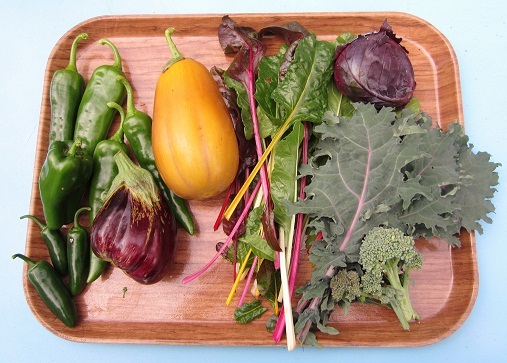 I’m having a bit of a hard time believing it’s just about November and time to harvest up the last of the garden! We’ve had a couple of amazing weather days and now the cold and frosty air is here surely to stay. Time for lots of tea, crock pot cooking, and baking yummy treats! I already have leek soup in the crock pot this morning to get the season going! Peppers, eggplant, swiss chard, kale, and a super cute mini cabbage! Plus I had a pile of leeks and celery and more kale! Here it is, October 2012 Color of the Month! Very fall festive with shades of orange. 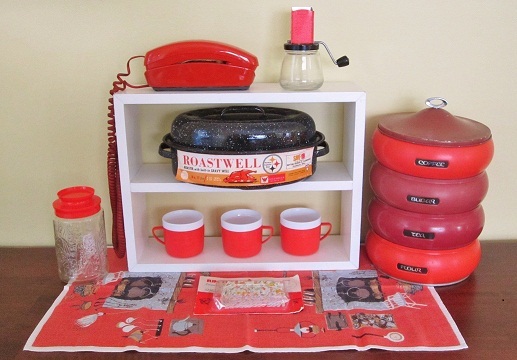 Fave items: the vintage kitchen towel with fireplace, brand spankin new vintage roaster pan with label, phone, and the awesome mid century stacking canisters! Just hints of orange here. 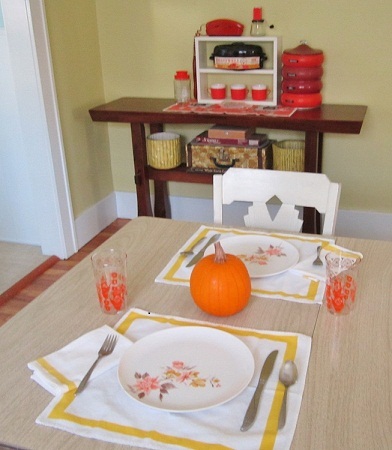 Sweet little Mr. Pumpkin sets the fall tone with melmac plates and vintage glasses. Plus vintage napkins go dual action with one acting like a placemat! 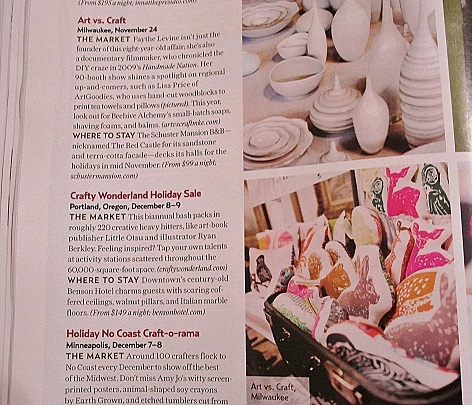 I was just browsing through the most recent issue of Country Living Magazine and on page 70 I spotted a pic of my stuffies and squillow pillows in a great spot on the hippest indie craft fairs around! It’s pretty awesome to be featured! 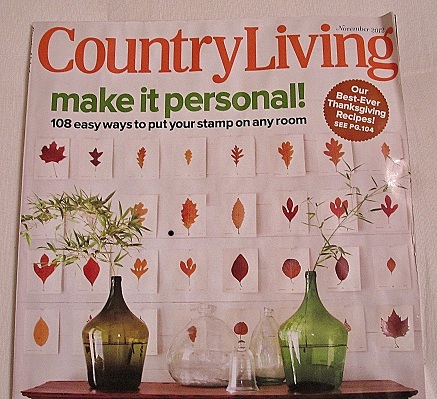 Thanks Country Living and Thanks Art Vs. Craft! AND this is a great reminder to support independent designers and makers this holiday season! It’s not easy to keep track of where artgoodies shows up. Sometimes I know about things and sometimes not. I’m so happy when friends or fans mention the sightings to me- so keep up the good work! I know I’ve missed some but I like to keep a binder of all the magazine press. Here’s an unusual sighting that a dear friend, with a super keen eye, let me know about. 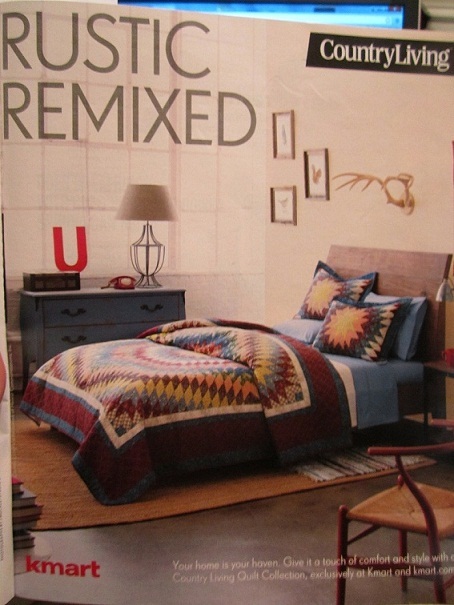 Seems that artgoodies prints are helping style this room in a Kmart ad for Country Living quilts. I’m really flattered, thank you! I also just feels a little surreal. 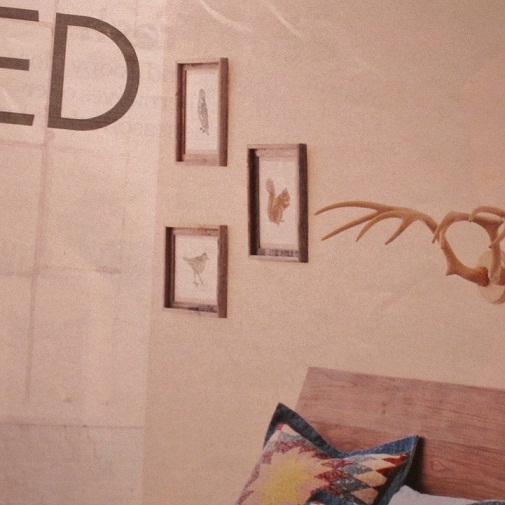 I’m like what are you guys doing in a Kmart ad? I’m so used to seeing my work in the studio and being up close to it that seeing it out and about in the world like this is really something! My owl, squirrel, and wood thrush linocut prints on hosho Japanese paper. I'll have to put some paper prints in my shop!